Hailing from the desert regions of Central Asia, Karakul sheep are renowned for their ability to forage and thrive under extremely harsh living conditions. They can survive because of a special quality they have, storing fat in their tails. Karakul are also raised in large numbers in Namibia, having first been brought there by German colonists in the early 20th century. Use by humans - Karakul sheep are a multi-purpose breed, kept for milking, meat, pelts, and wool. As a fat-tailed breed, they have a distinctive meat. Many adult Karakul are double-coated; in this case, people separate the coarse guard hair from the undercoat. 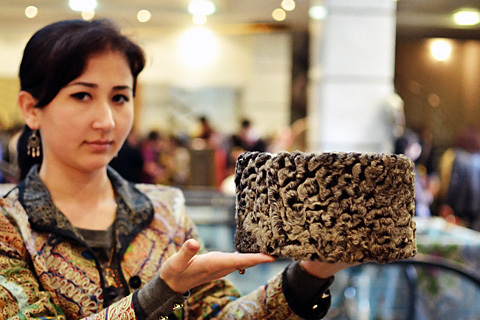 Karakul is relatively coarse fiber used for outer garment, carpets and for felting. 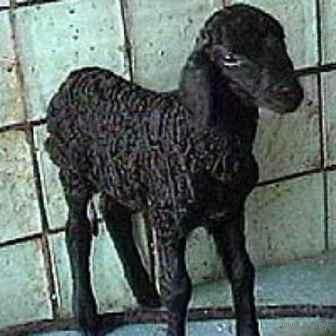 Karakul pelts - very young or even fetal Karakul lambs - are prized for pelts. Newborn karakul sheep's pelts are called karakul (also spelled caracul), swakara (coined from South West Africa Karakul), astrakhan (Russian), Persian lamb, agnello di Persia, (Italian), krimmer (Russian) and garaköli bagana (Turkmen). 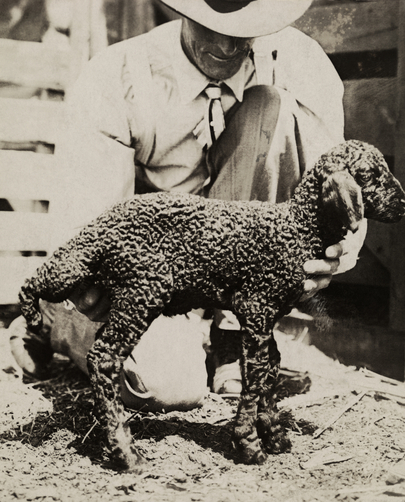 Lambs Garments made from the pelts of newborn karakul lambs - often referred to as "Persian lamb," "karakul," and "astrakhan," - are a staple of the fur fashion world. 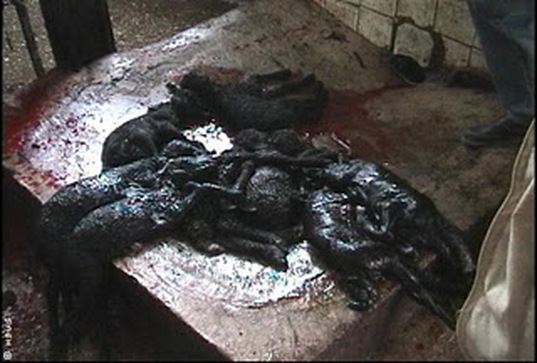 So too are garments made of fetal karakul lambs (known as "broadtail"), which the fur industry claims are crafted from animals born prematurely due to accident or exposure. 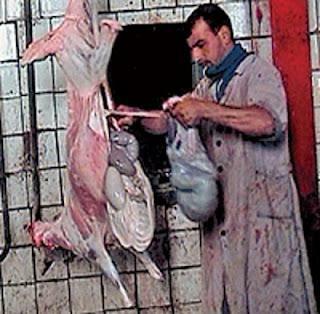 In March 2000, investigators with The Humane Society of the United States (HSUS) toured a karakul sheep farm near Bukhara, in the former Soviet republic of Uzbekistan, and found that pregnant ewes are in fact routinely slaughtered for these fetal pelts. 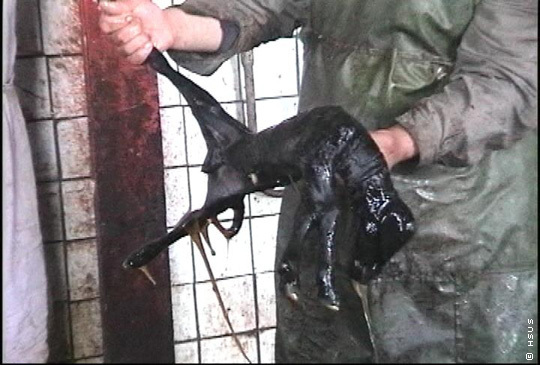 Graphic videotape shot at the farm (below) shows a pregnant ewe held down, her throat slit and her stomach slashed wide so that a worker could remove the developing fetus - the "raw material" for coats, vests, and other broadtail fashions. What's more, contrary to the industry's claims that karakul lamb fur is merely a byproduct of meat production, HSUS investigators videotaped newborn lambs displayed as "samples" of pelt colors before being sent to their death. The pelts were saved, the tiny carcasses discarded as trash - HSUS - Karakul sheep investigation document. It's the rage in Kabul and is getting attention in Milan and Paris, but the ultra-chic hat made famous by Afghan leader Hamid Karzai has a rather unpalatable origin -- it's made using the downy fur of aborted lamb fetuses. 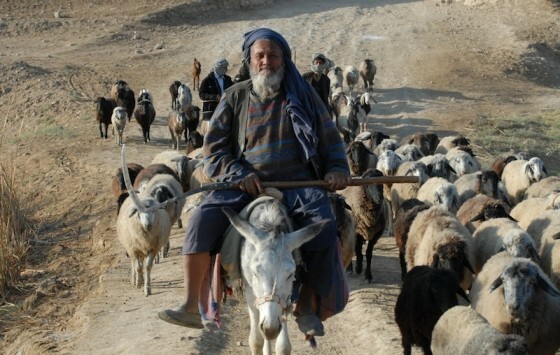 The karakul hat, a football-shaped, fez-like construct with ripply baby-soft fur, has been popping up everywhere in Afghanistan's capital since Karzai was appointed interim prime minister after the fall of the Taliban, as Afghans have sought to emulate the man charged with pulling their battered country out of decades of war. "Since the change in government, many people are coming and buying karacul hats," said Aji Ali Mohammed, who has run a karakul shop for 40 years in a bustling bazaar next to the Kabul River, now dried up after four years of drought. "Business is getting better every day." He says he's even sold two hats to Karzai. "We chose the best pelts and we worked as hard as we could to make the best quality hat for him," the 57-year-old Mohammed said. Afghans aren't the only ones taking a look at the fashionable headgear. At Milan fashion week in January, Gucci's Tom Ford dubbed Karzai "the chicest man on the planet" saying the karacul hat and flowing capes the Afghan leader wears give him a winning look that is "very elegant and very proud." Silvia Venturini Fendi, head of styling for the Italian fashion house famous for its furs added: "I like President Karzai's fur fez because it is an intrinsic element of his way of dressing. He always wears it with great nonchalance and elegance. 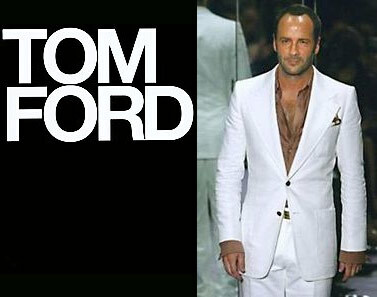 It's clear that, more than his way of dressing, it's part of his way of being." The hat is expensive for ordinary Afghans, costing up to $35 for a really good one. That is more than a month's salary for many in this war-ravaged nation, and 10-20 times as much as simpler headgear like a turban. 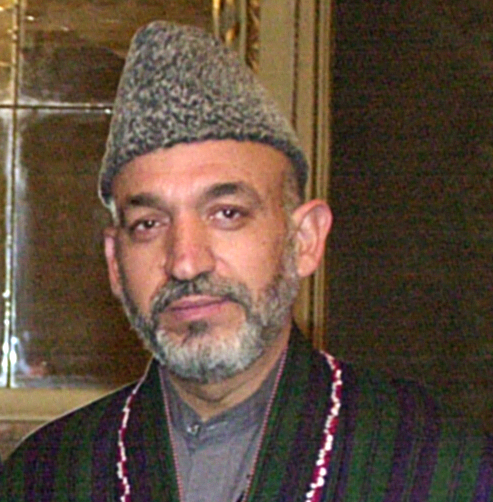 But despite the cost, the hats are omnipresent in the capital, a particular favorite among middle-aged men like Karzai. It's a remarkable comeback for a chapeau that went out of style during the Taliban regime, which preferred black turbans or simple white skullcap to the more regal looking karakul. "During the Taliban we sold only one hat a month, usually to an Afghan living abroad, but now we are moving about 50 every week," said Abdul Waseh, 52, another karacul shop owner. Though the hats are unmistakably dashing, the method of their production is a bit stomach-turning. 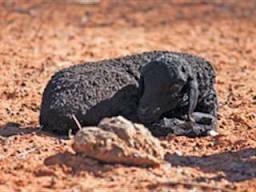 Shepherds in northern Afghanistan slaughter the mother and then remove the fetus, whose downy fur is incredibly smooth because it has never been exposed to the air or sun. Sometimes shepherds wait for the ewe to give birth before killing the lamb. Each lamb is so small its entire pelt is needed to produce one hat -- and many pelts are needed to make the waist-length karacul coats. "The best quality hats are made with the fetuses," said Mohammed, "They are extremely soft and they have a special shine to them ... it is as pure as a precious stone." Culture and Information Minister Abdurahim Mokhdoom says he recognizes the process may seem brutal to outsiders, but he says they are part of Afghanistan's culture. "As far back as you look, Afghans have been wearing them," he said, adding a word of advice for the squeamish. "I would tell them to stop eating beef and lamb and then let's stop killing animals for this too," he said. "If you make one hat you will use it for maybe five years, but if you go and eat steak once a week for one year, how many cows are you eating?" Karzai, whose easy style and good looks have helped make him one of the world's most recognizable leaders -- says he has several motives for wearing the hats. "I wear them because they are very, very Afghan," he said at a recent military ceremony in Kabul. "And if it looks good, all the better." 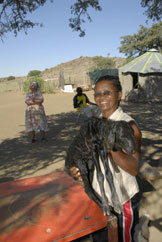 Namibia produces approximately 140,000 pelts per annum. These are sold under the name SWAKARA at Kopenhagen Fur in Denmark twice a year. AGRA manages a pelt sorting centre in Windhoek and is responsible for the collecting, sorting and marketing of SWAKARA pelts. 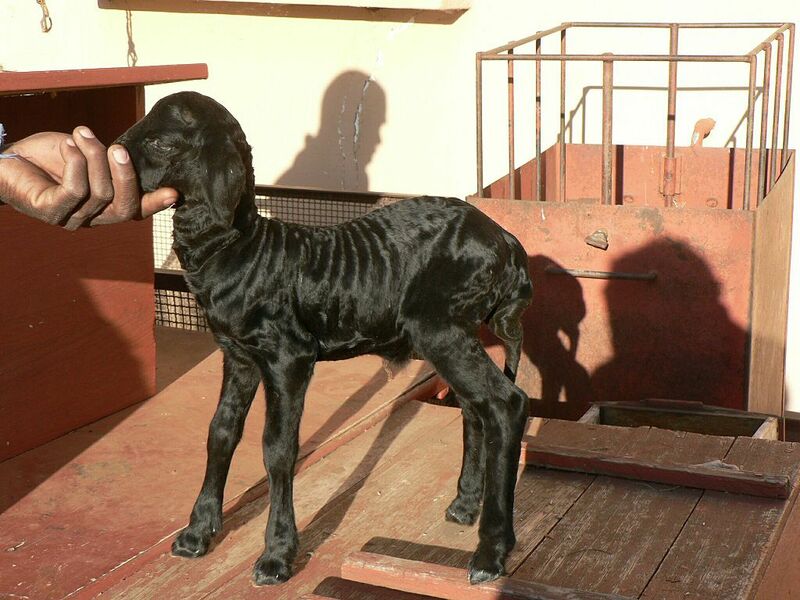 AGRA is also involved in the selling of breeding stock either by auction or through its Stocklink services. AGRA handles approximately 200,000 kg Karakul wool annually. The dark colours comprising the bulk at 95% are exported to South Africa, while the lighter colours are sold at the Pelt Centre in Windhoek. The lighter colours that are in demand at the Pelt Centre are white, fawn, brown, silver-grey and light grey. Swakara, a registered brand name of karakul fur from the Namibian drylands, is exclusively marketed through Kopenhagen Fur in Denmark, which sells around 140,000 Namibian pelts per year. The swakara industry aims to provide essential income for communities in the arid regions of Namibia where conventional farming is impossible. The karakul sheep originates from Central Asia. It was introduced to Namibia by German colonists in the early 20th century. 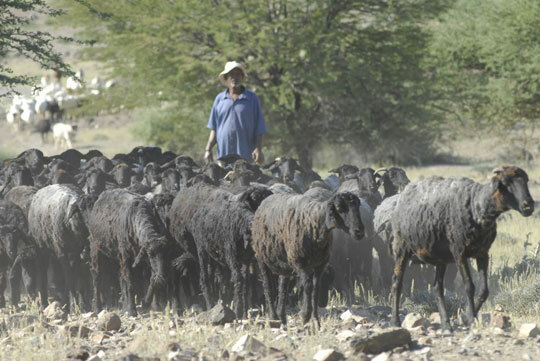 Karakul can thrive under the extremely harsh conditions of the Namibian drylands. 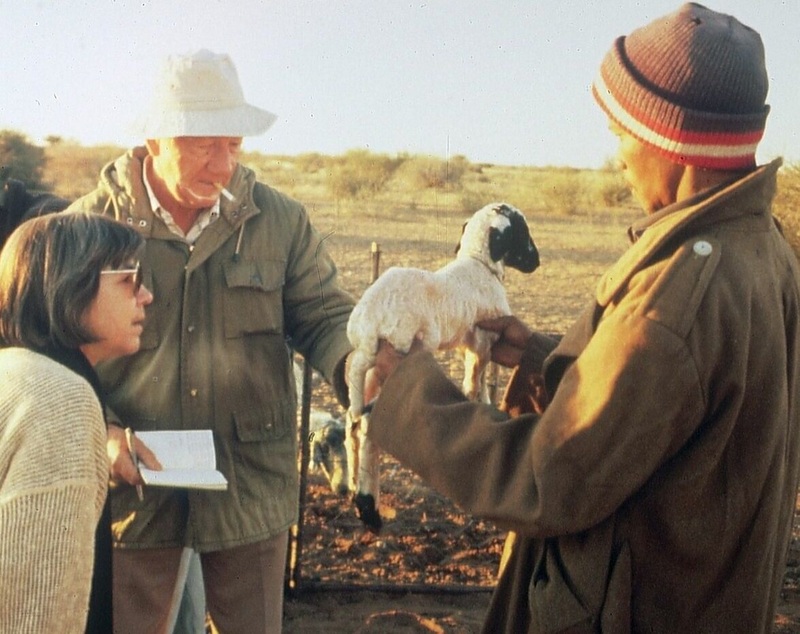 Jessica Smith, Senior Programme Officer for Land and Livelihoods at the UNEP World Conservation Monitoring Centre, believes that such enterprising approaches are important in drylands as a way of combating biodiversity loss and the degradation of ecosystem services. “The commercialisation of biodiversity-based products is recognised as a mechanism for providing incentives for the sustainable management of biodiversity while greening the economy, creating employment opportunities and supporting sustainable livelihoods.” Source: Fashion Runways and UNCCD - The United Nations Convention to Combat Desertification.